Arranged in a user-friendly grid system, Obihiro makes a convenient--if unremarkable--gateway for regional explorations. With an expanse of agricultural areas and natural attractions nearby, Obhiro tourism usually focuses on what lies outside the city, rather than within. Points of interest include the vast dairy farms and wheat fields that cover much of plain, a set of dizzying volcanic peaks, and natural springs. Back in town, you'll find plenty of places to pick up dairy products, still something of a rarity in the country. Obihiro is in Hokkaido. Explore the family-friendly attractions of Obihiro and add them to your vacation plans using our Japan journey maker site . Look close to the main train station for the primary places to stay in Obihiro. In this conveniently located central district, with the best connections for regional exploration in town, you'll find some plain high-rise hotels, a number of luxurious options, and budget-friendly guesthouses. 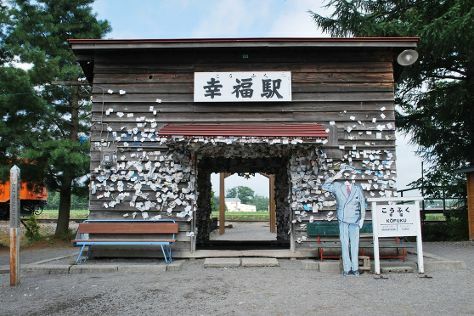 Some visitors prefer to pick accommodations in one of the nearby hot spring resort towns, such as Tokachigawa to the east, where choices include traditional ryokans, along with a couple of campgrounds.